With the ocean mere minutes away from our hotel, your stay at Portola Hotel & Spa provides premier access to the best activities in the water. 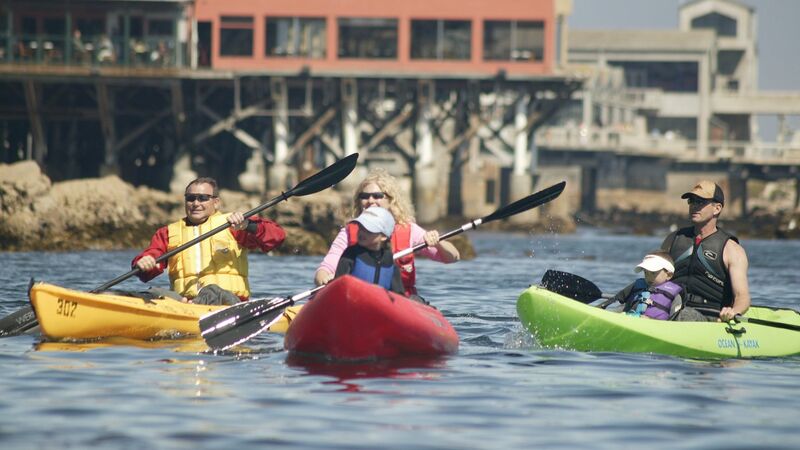 For Monterey watersports, you can do everything from SCUBA diving to kayaking. Plunge into the Pacific with our recommendations on where to go to enjoy the best SCUBA diving Monterey, California has to offer. Whether you’re looking for Monterey kayaking, diving, paddle boarding, or any other water sports, our guide below is sure to lead you in the right direction. Monterey Bay is the perfect place to take the plunge. Featuring the signature kelp of Californian waters to colorful coral and sea creatures, diving fanatics are sure to find new sights off our shores. And with a variety of schools that take new divers into open water for certification, Monterey is the perfect place to learn how to dive. Looking to stay on the ocean surface? The Bay makes for prime scenery for kayaking and stand up paddle boarding. Our recommended businesses below will provide you with everything you need to enjoy the bay on a boat or a board.